Stagnation is a state of being grounded, stranded or tied to the same place or position. Progress is all about movement. If you refuse to move you will become a monument, you will begin to stink and dust will settle on you. 1. Standing state. E.g the man at the pool of Bethesda Jn 5:1-11; Deut 1:6. This is called STAGNATION. 2. Moving on the spot. Treadmill experience. Activities without production. Motion without movement (Lk 5:1-11). Car engine burning fuel without moving. This is called RETARDATION. 3. Backward movement. Going back gradually (Matt 26:58). The woman with the issue of blood Mk 5:25-34. This is called REGRESSION. Jonah 1:3; Gen 26:2; Isa 31:1. Movement from grace to grass. From hero to zero. This is called REPRESSION. Called NORMAL PROGRESSION. Standing out among your peers. E.g Apostle Paul among others (I Cor 14:18). Called ARITHMETIC PROGRESSION (Gen 26:12-14). Deut 1:11 – a thousand times. The ultimate desire of God for His children is to make progress in all areas of life. 3 John 2, Psalms 35:27, Psalms 84:7, Prov 4:18, Job 36:11, 2 Cor 3:18. 1. Satan and his agents. The devil wants to stagnate you. (Jn 10:10, I Thess 2:18, I Cor 16:9, Lk 13:16, Dan 10:10-12, Zech 3:1). 2. Lack of vision (Prov 29:18; Jer 1:11-12, Gen 13:14). Successful people are goal getters because they are goal setters. To live without a goal is to live like a goat. Vision is the mental picture of the desired future. A future you picture cannot rupture when structured through the scriptures. A future you cannot picture is a future you can’t venture to capture. 3. Procrastination. This is the act of leaving till tomorrow what can be done today. This happens as a result of too much ANALYSIS that eventually leads to PARALYSIS. It’s time to step out and do something before something will do you. (Jn 4:35, 2 Cor 6:2). 4. Discouragement. Psalms 42:11, I Sam 30:6, Micah 7:8, Prov 24:16. This happens when expectations are not met. To go far in life you must learn to encourage yourself like David in I sam 30:6. You must never GIVE UP like the lepers in 2Kgs 7:3-8. 5. Fear. (Isa 35:4, 2 Tim 1:7, I Jn 5:18, Isa 41:10, Josh 1:1-8). Fear is the lack of required courage to take positive steps toward a productive end. 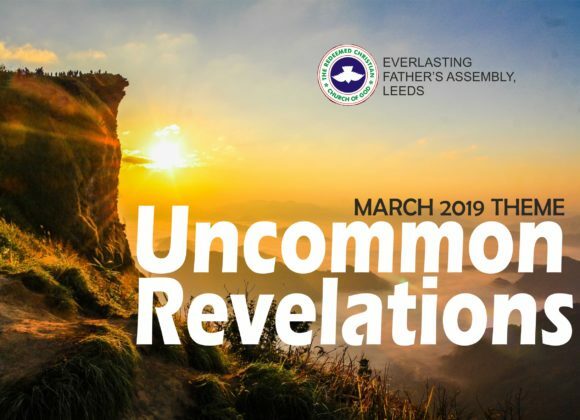 The lepers in 2 Kgs 7:3-8 conquered the fear of death and stepped out. Until you take a step God will not step in. 6. Lack of unity. (Psa 133:1-3, Gen 11:1-6, 2Kgs 7:3-7). Our strength is in togetherness. Nothing stagnates a people like disunity. Don’t mistake uniformity for unity. The fact that we wear the same uniform does not mean we are united. The 4 lepers were united so progress was effortless. 7. Sin. (Prov 28:13, Rom 6:1-2, Job 33:27-28). Sin is a clog in the wheel of progress. It means Success In Nothing and Satan’s Identification Number. 1. Surrender completely to Jesus Christ. (Jn 15:5, Phil 4:13, Zech 1:3). 2. Be determined to change positively. 3. Ask God to help you. 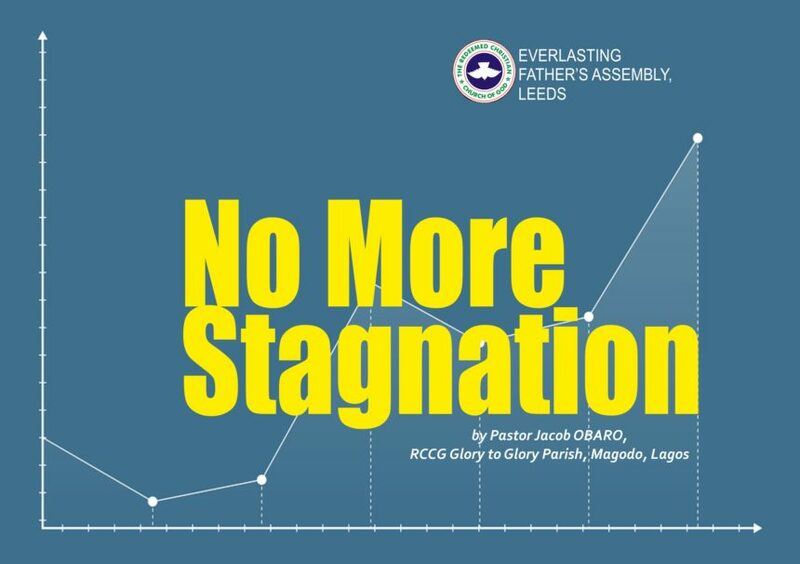 The sermon, No More Stagnation, by Pastor Jacob Obaro, of RCCG Glory to Glory Parish, Magodo, Lagos was delivered on November 25, 2018.